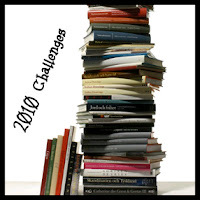 The two challenges that I always impose on myself and I have been unable to find hosted anywhere are the 50 Book Challenge and the 15000 Page Challenge. I do both because I could easily hit the 50 Book challenge with graphic novels and never read anything of substance. So how did I do last year, success on both counts. Excluding the two audio books I totaled out at 18323 pages read. This also excludes unfinished books. So by my calculations that puts me over for each of these challenges. Rock!